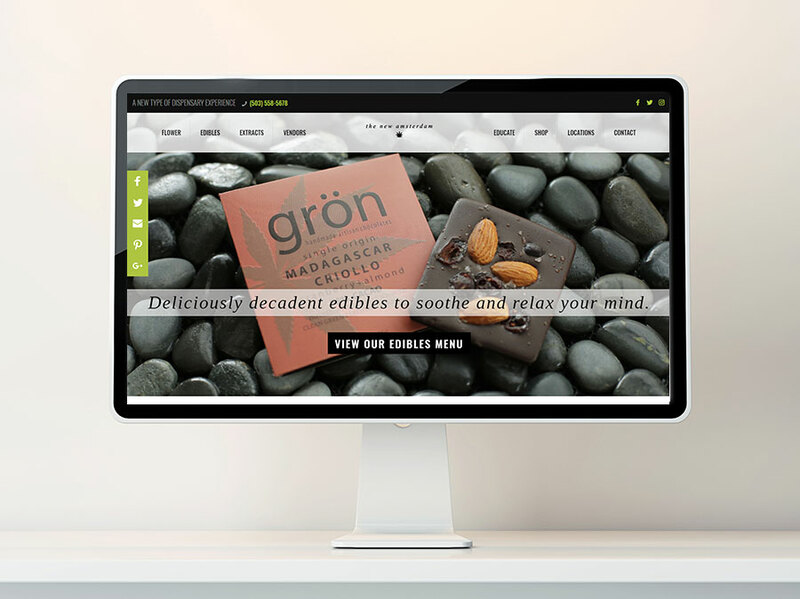 In February of 2017, we were approached by Peter & Rochelle to design branding and a website for their new business. They had just moved to Oregon after selling their almond and pomegranate farms in California and they were excited about their blossoming hemp farm. After an initial meeting, we had a good idea of how to accomplish the look and feel of their brand and we set out create something beautiful for them. 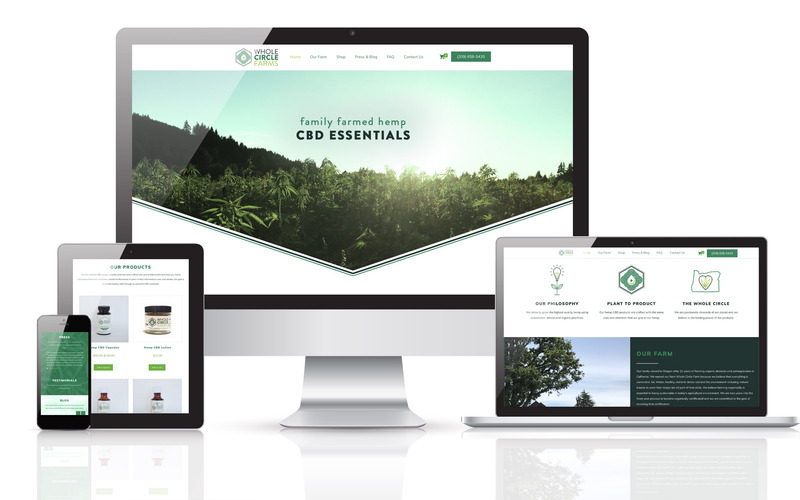 We got to work ideating a mark that would set Whole Circle Farms apart from the many other CBD products that we had seen on the market. Sustainability was incredibly important to the client, so we chose a palette that was bright and evoked a bright, earthy feel. To make sure that the logo had longevity, we chose a modern font with a few different weights that allowed us flexibility both in print, packaging and on the web. The icon was made to resemble an eternal knot to represent the whole circle approach to sustainability, while the hexagon and droplet with the cross help a patient identify with the healing nature of their products. "family farmed hemp. CBD essentials"
In the midst of creating the mark, we came up with a tagline to fit their identity. We added it to the initial logo treatments and it was gladly approved by the owners. Once the branding was approved, we set out to build their new site. From a design perspective, we wanted to carry the vivid greens in the color palette, and the hexagon theme throughout the build. 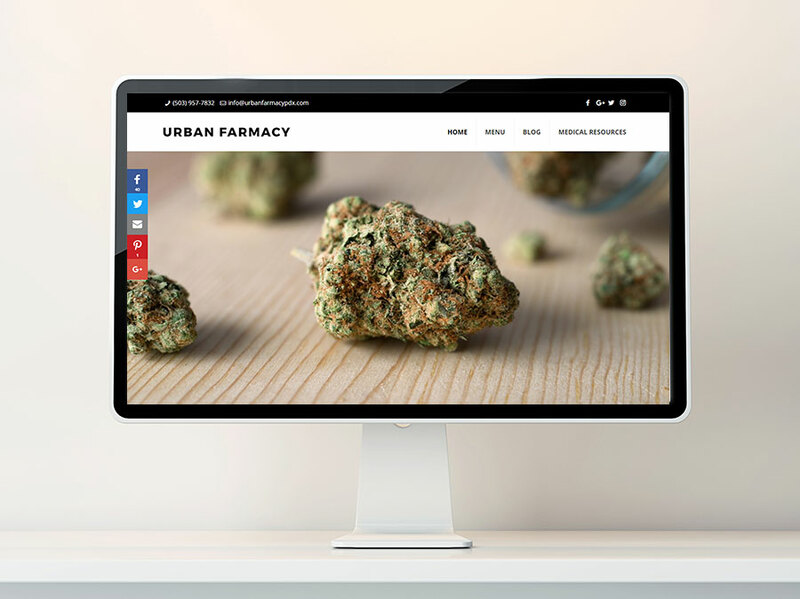 We designed icons to outline their core values, chose stock imagery that tied into their location in Oregon and the healing nature of their products, and took product photography for their e-commerce store. Using our initial content assessment from them, we wrote some copy that told the Whole Circle Farms story effectively. A large part of good content writing is the readability of the text. We pride ourselves on telling stories in a way that a customer can easily identify with. Selling CBD products online can be tricky. 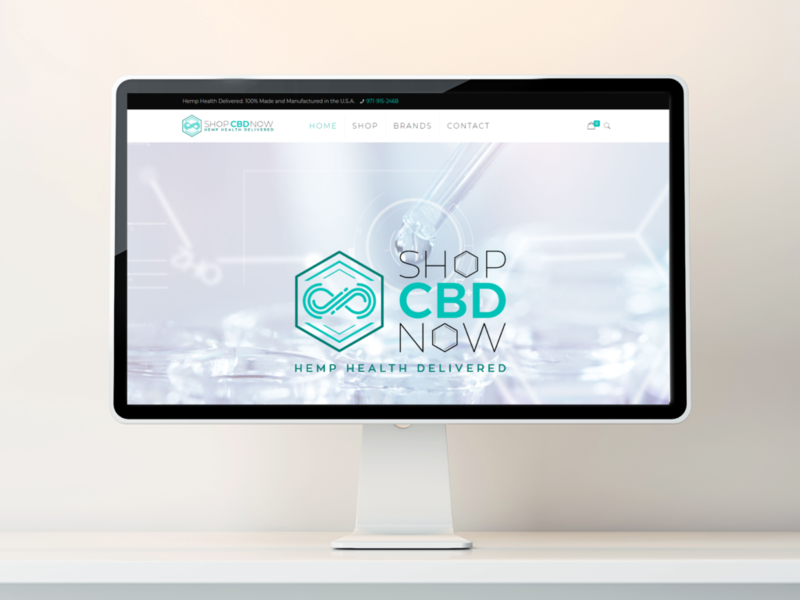 Many CBD makers don't want to ship to all 50 states, and payment gateways often get shut down. With our help, Whole Circle Farms has been able to generate strong online sales revenues.